Now Accepting the GI Bill®! More information about education benefits offered by VA is available at the official U.S. government Web site at http://www.benefits.va.gov/gibill. The Best Event Venues in Utah! We offer Team Building Cooking Classes, Chef Table Dinners and Cooking Competitions. Hurry, seats are limited. Apply Now! Or call us for more information! 801.413.2800. 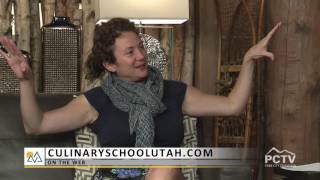 Take a peek at what it's like to be a student at Park City Culinary Institute!